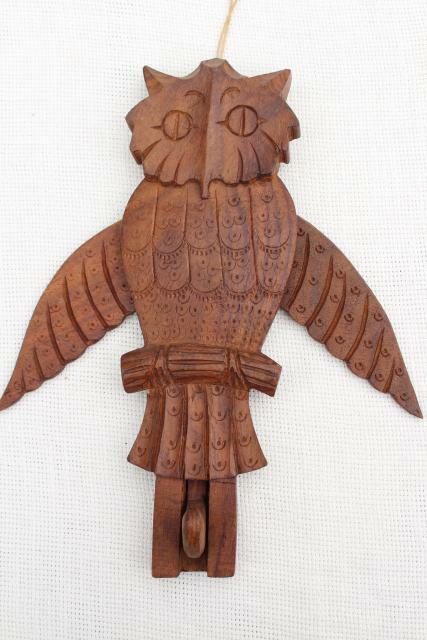 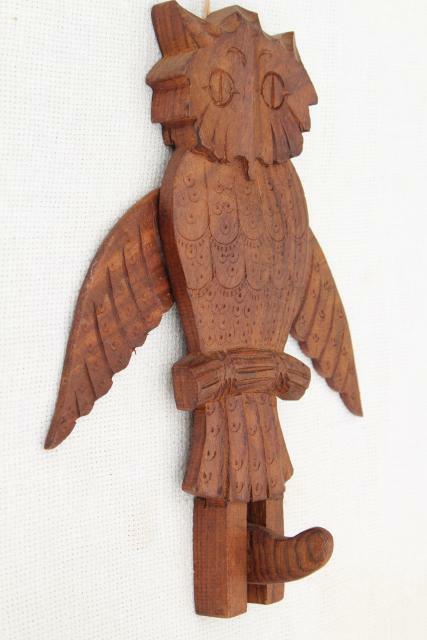 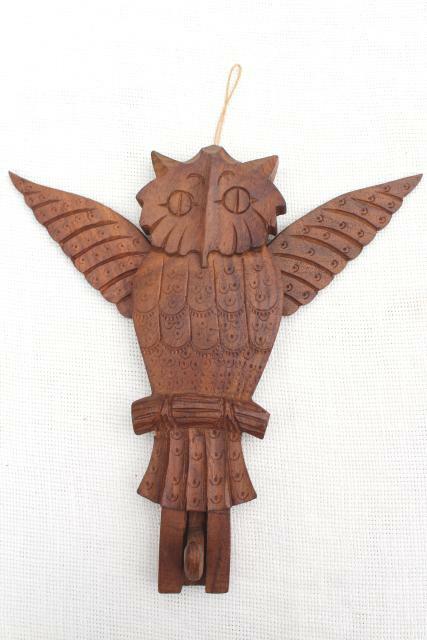 70s vintage carved wood owl with coat hook... this is made like a jumping jack, the wings open as weight is put on the hook. 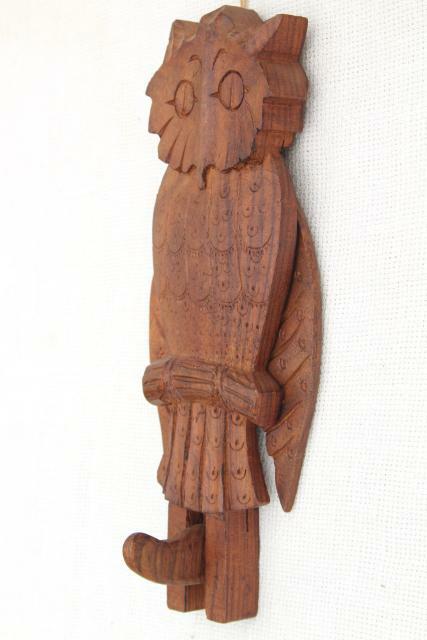 Hook is released, owl sits quietly with wings folded. 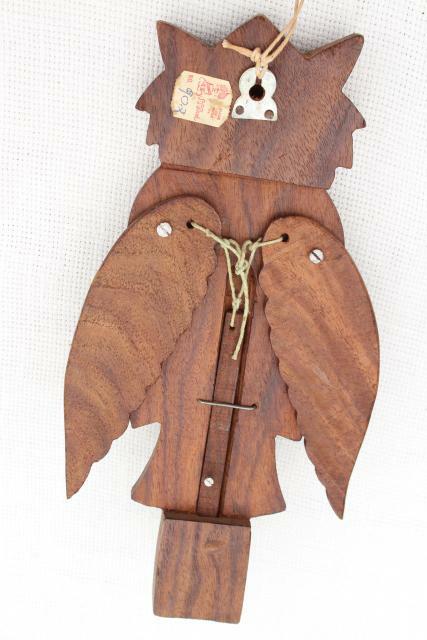 Very cleverly made! 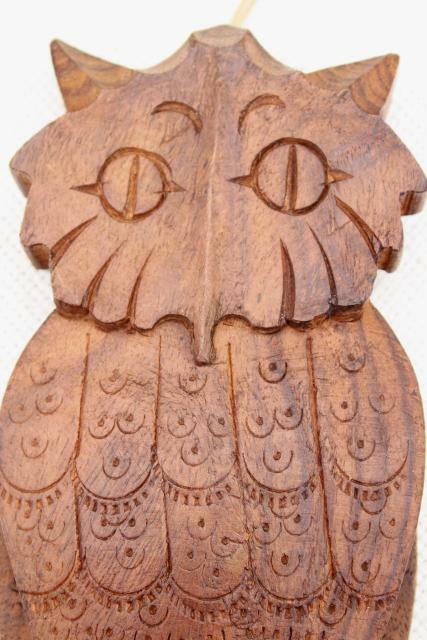 It's sheeshamwood, from India, all hand carved. 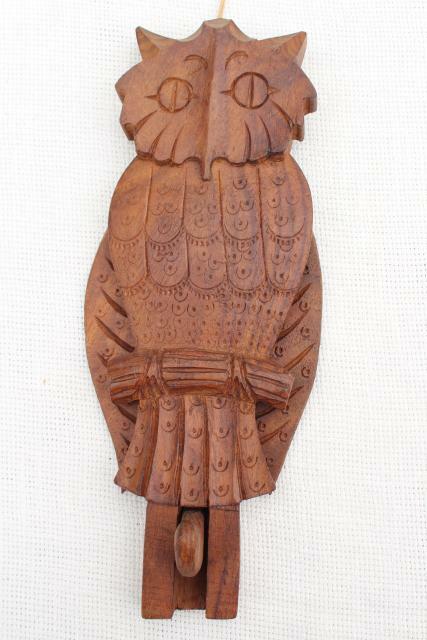 It's in very good clean condition, and measures 11" long top to bottom.